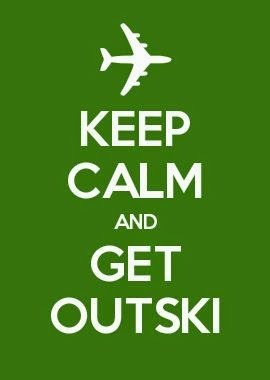 VISA is now live on Outski’s travel planning, collaboration, saving and booking platform! Now, when you create a Vacation Savings Account (or “VSA”) with Outski you may choose whether you would like a VISA or Discover braded Travel Savings Card. VISA is the most widely accepted card brand which gives you access to merchants around the world! What are a VSA and a Travel Savings Card? Well, let me ask you; how do you plan to pay for your next trip? Go into more debt? An Outski VSA allows you to SAVE for your trip over time in a financially responsible manner by setting aside funds into an account dedicated to your travel so you don’t have to use a credit card. When it comes time to pay for your travel, whether on our site, any other site, a merchant, or while on your trip, simply use your VISA or Discover branded Travel Savings Card that comes with your VSA. With Outski you can plan and budget for your trip, invite friends, and even book travel, and with your VISA or Discover branded Travel Savings Card, now you can pay for it!